Based on the DreamWorks Animation Academy Award® nominated movie How to TrainYour Dragon, there’s action at every turn and excitement on every ride in DREAMWORKS DRAGONS: DEFENDERS OF BERK PART 2 as Hiccup and his fearless friends embark on new adventures and battle to protect their island home. The young Vikings must put their dragon training skills to the test to defeat dangerous and surprising new enemies! The series features original voice talent from the film including Jay Baruchel, America Ferrera and Christopher Mintz-Plasse and will include Zack Pearlman and more. Defenders of Berk, and the previously released Riders of Berk, is a must-own for any Dragons fan to catch up before the summer event when How to Train Your Dragon 2 hits theatres June 13th! If you remember a couple months back were were excited when we had the opportunity to review Dragons: Defenders of Berk Part 1. Not only are my kids huge How To Train Your Dragon fans, but now that they have seen both part one and two of Defender of Berk, they're even more pumped to see How To Train Your Dragon 2 when it comes out next month. This was just as good as part one, filled with our favorite characters and dragons, this new adventure would be perfect for any of you fans out there. It continues with lots of filled packed action that will have your kids very excited. Definitely a must watch before you go and see the new movie that comes out in June! Disclosure: All opinions are my own. 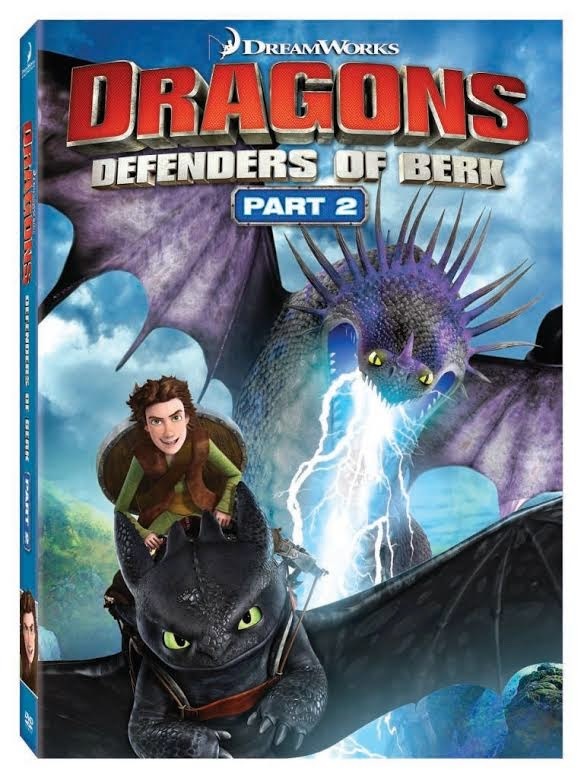 I received DRAGONS: Defenders of Berk Part 2 on DVD at no cost for the purpose of this review. No other compensation was received.